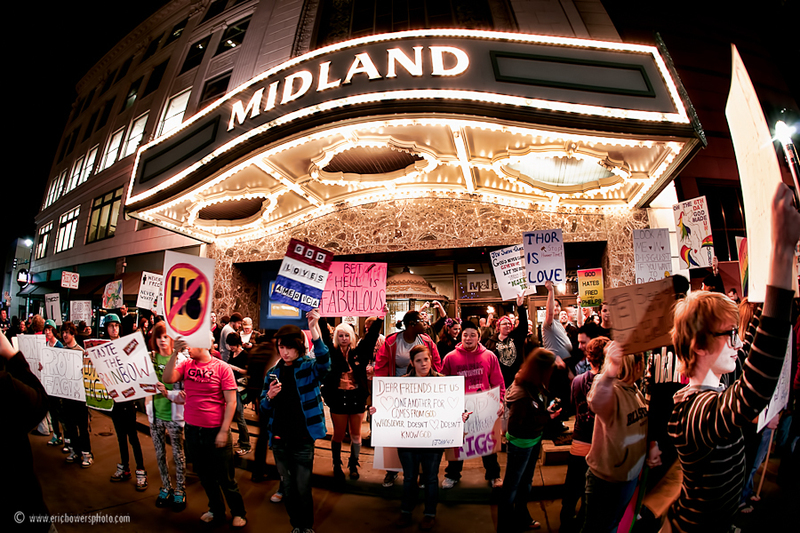 On Saturday night at the Midland Theatre in downtown Kansas City MO there was a pre-screening for the forthcoming film Red State. 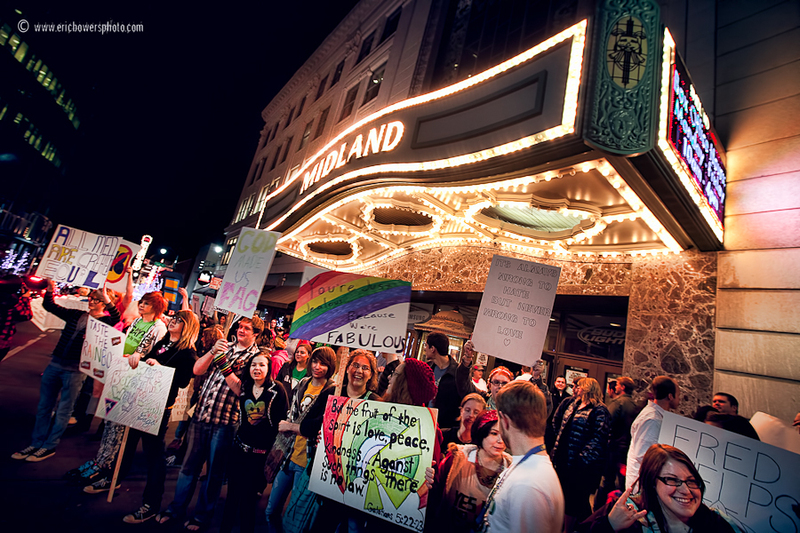 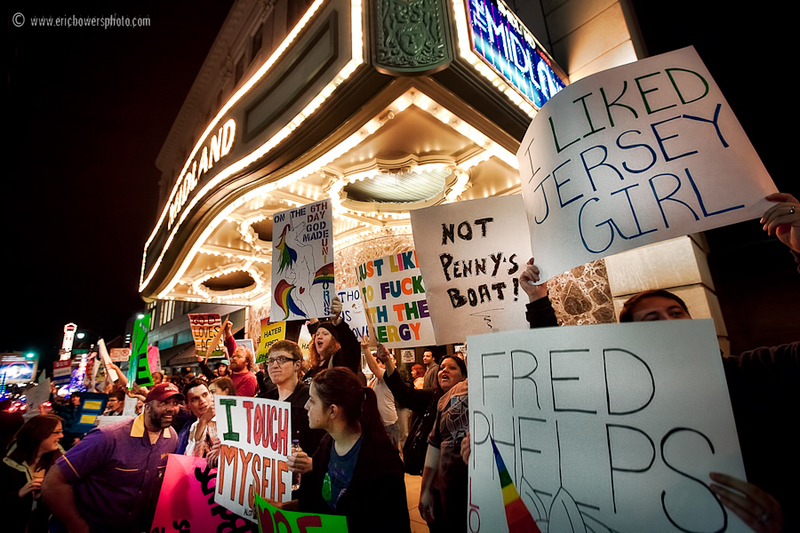 The barking loons at Topeka’s Westboro Baptist Church didn’t care for that too much (they don’t like much of anything really), so they protested across from the theater, while a larger counter-protest took place directly in front of the doors to the Midland. 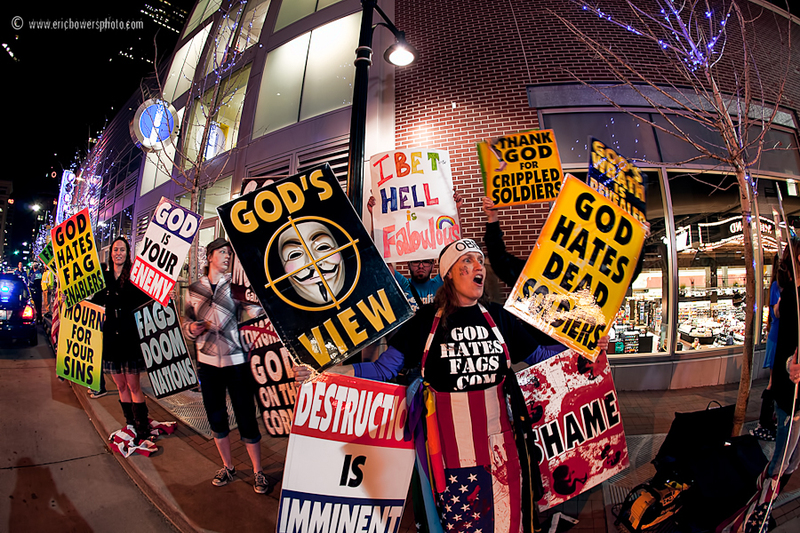 In this post three shots are of the counter-protest and one is of the Westboro group. 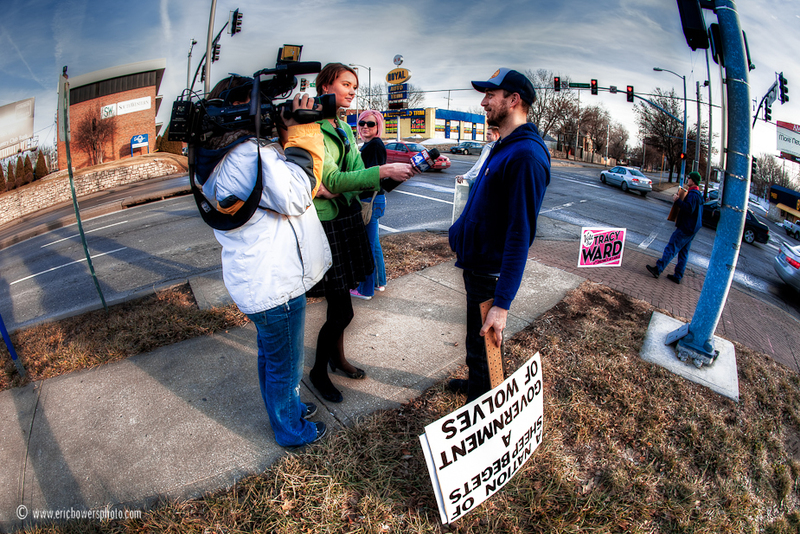 For the next shot featuring the actual Westboro klan, note the counter-protestor with his sign from across the street who snuck behind the stark raving mad Phelps woman in the foreground. 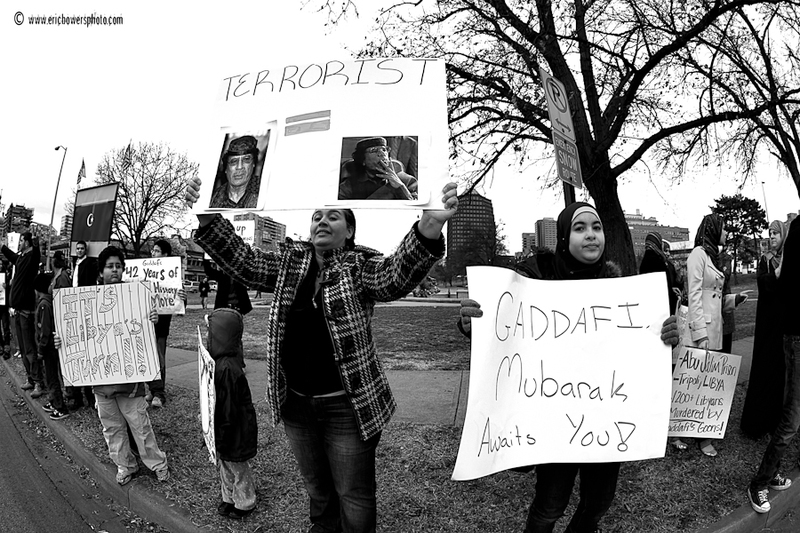 Because the world should know by now that Muammar Gaddafi is a deranged lunatic who happens to command the forces of an entire economically valuable country (Libya and oil supply fears), Libya has its fair share of upset citizenry owing to Gaddafi’s corruption. 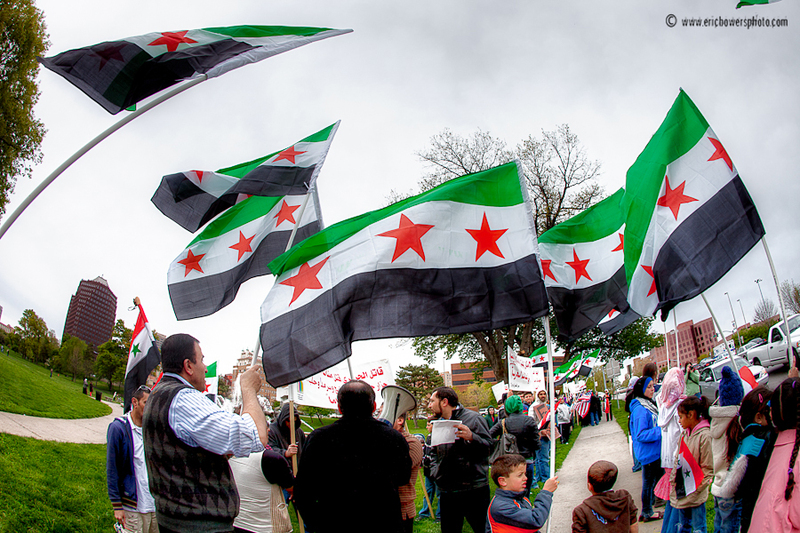 By virtue of that, a showing Sunday afternoon of Kansas City’s Libyan American and general Arab American community on the Plaza at Mill Creek Park. 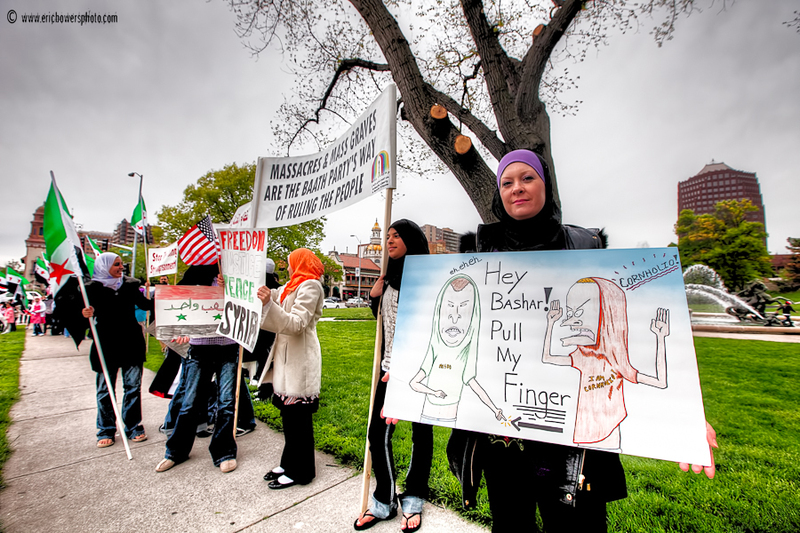 3) Part of the group of protestors. 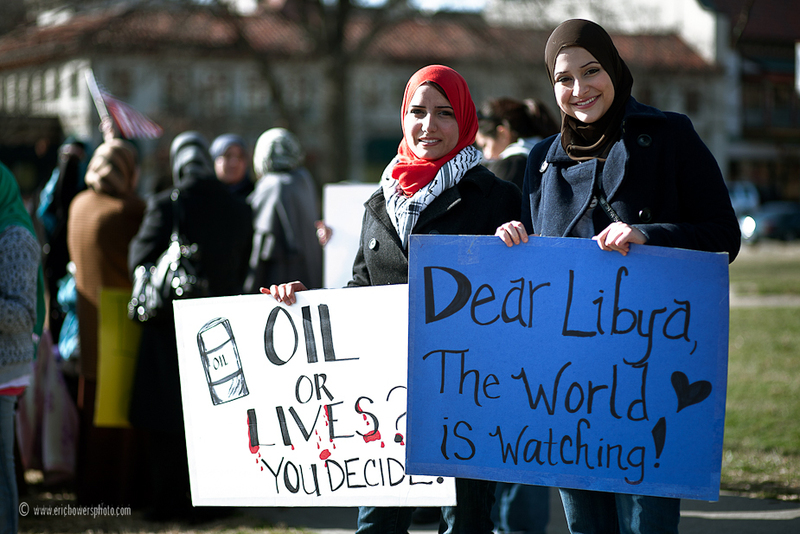 5) Ladies and Signs for Libya. 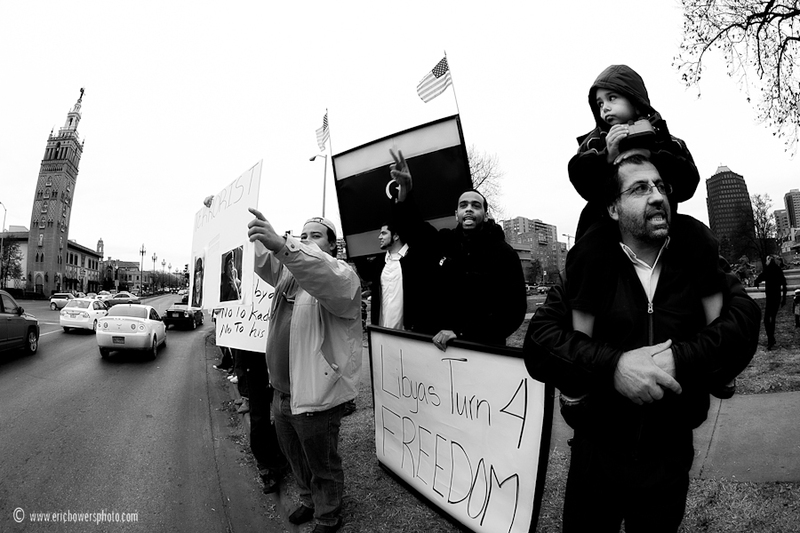 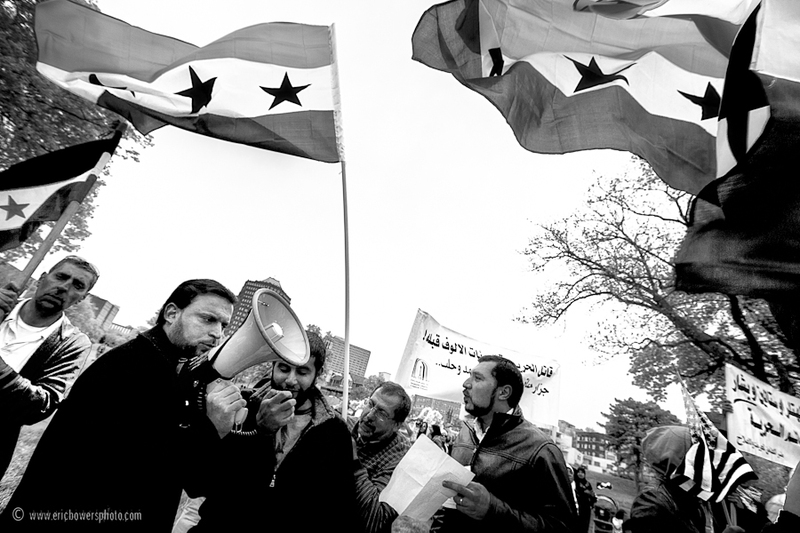 Photos from the first anti-Gaddafi protest two weeks ago can be seen here. 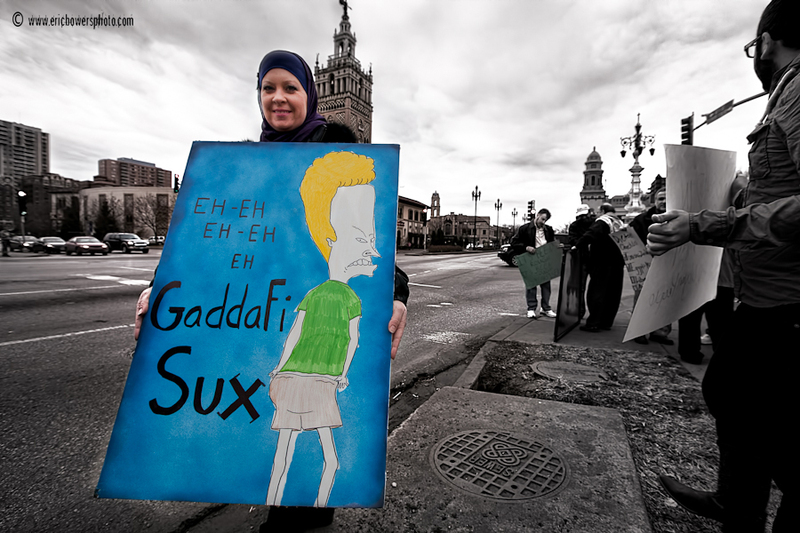 One of those shots was said to have depicted the best Libya protest sign in the world, according to Buzzfeed.com. 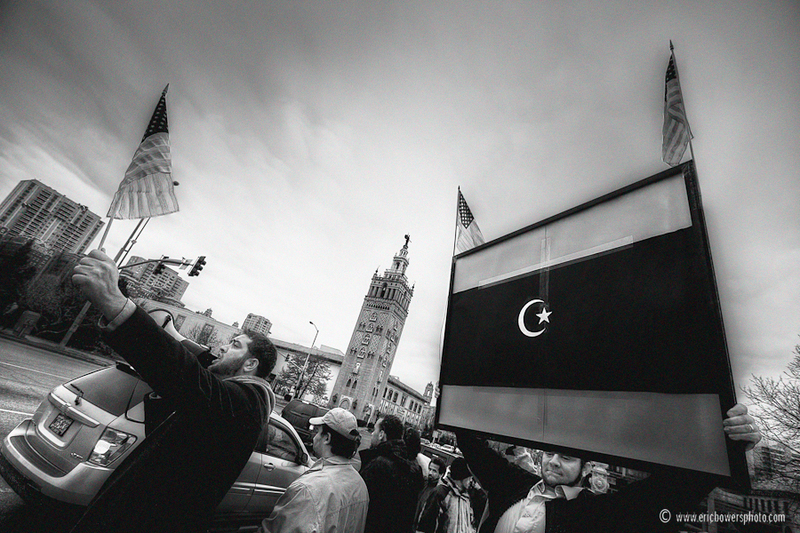 Following up on the revolution in Egypt that resulted in a couple of photoblog postings on my part covering rallies here in Kansas City (One and Two), there is now a great deal of protesting and unrest in Muammar Gaddafi’s Libya, enough to bring out the local Libyan community and broader Arab American community in Kansas City for a rally at Mill Creek Park on the Plaza on Saturday. 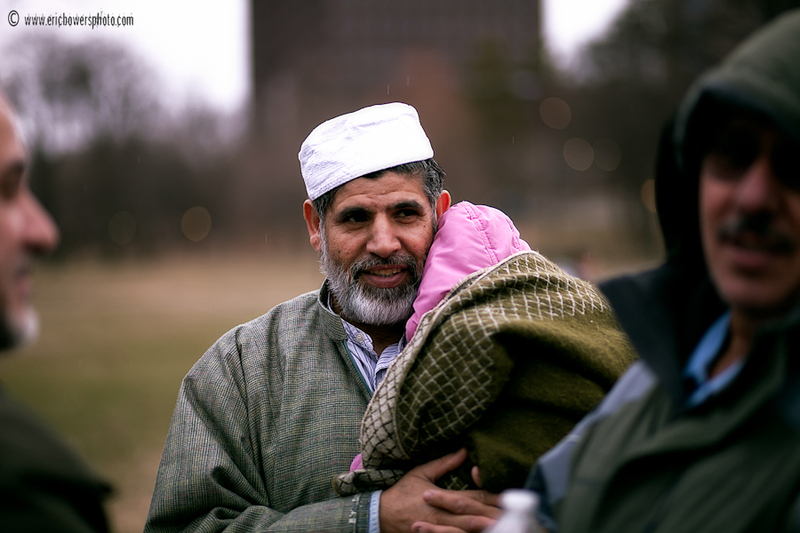 I met a man on Saturday who was actually the focal point in one of my Egypt photos who I learned was imprisoned by Gaddafi for nearly twenty years. 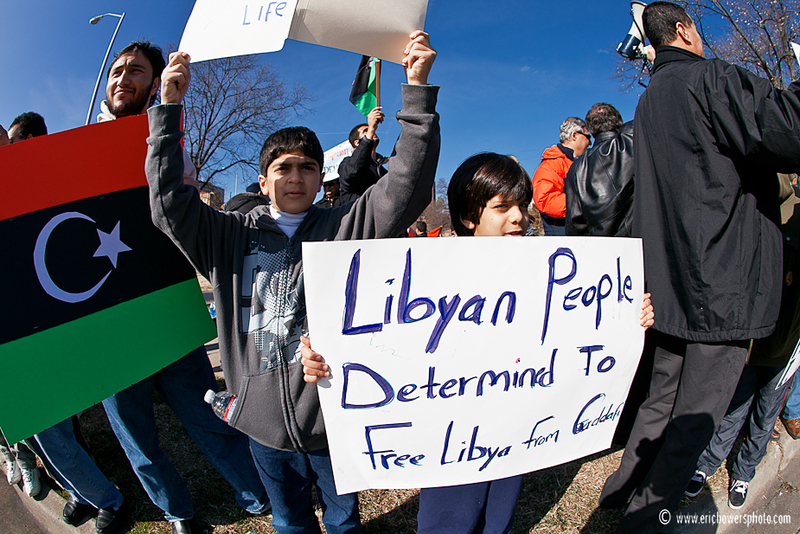 The situation in Libya is not receiving the amount of press it should due to the tight reins Gaddafi’s regime keeps on journalists and the news media in Libya. 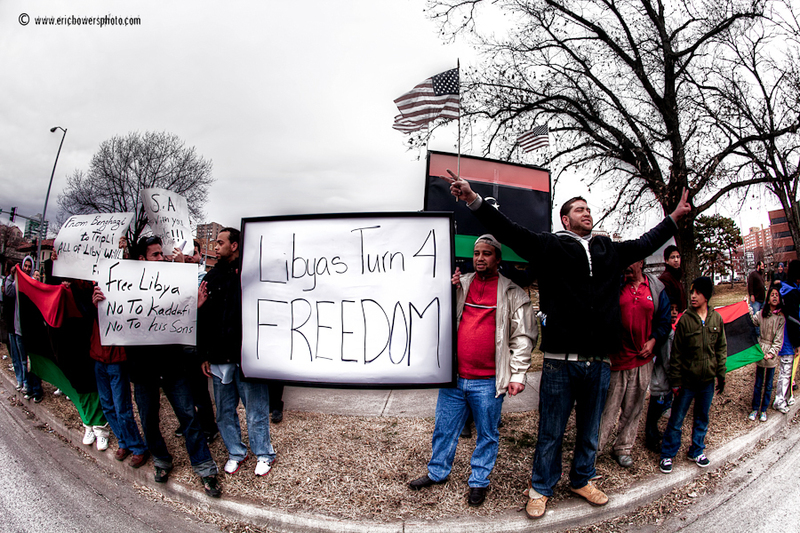 There aren’t a lot of ways to get information in and out of the country except through Internet social networking, and Gaddafi has been busy shutting off the Internet across Libya during the protests and clashes with Libyan citizenry. 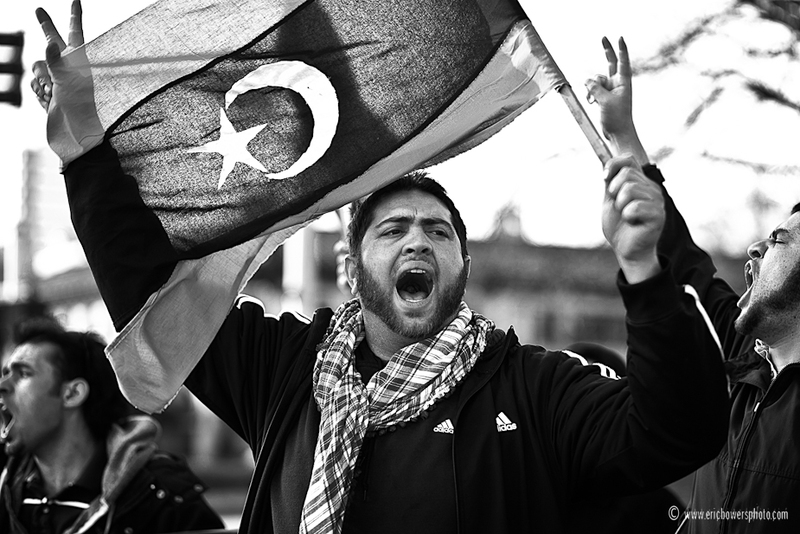 And I’m told a great deal of the world remains unaware of the killings of dozens or hundreds of protesters in Libya in recent days by Gaddafi’s military forces. 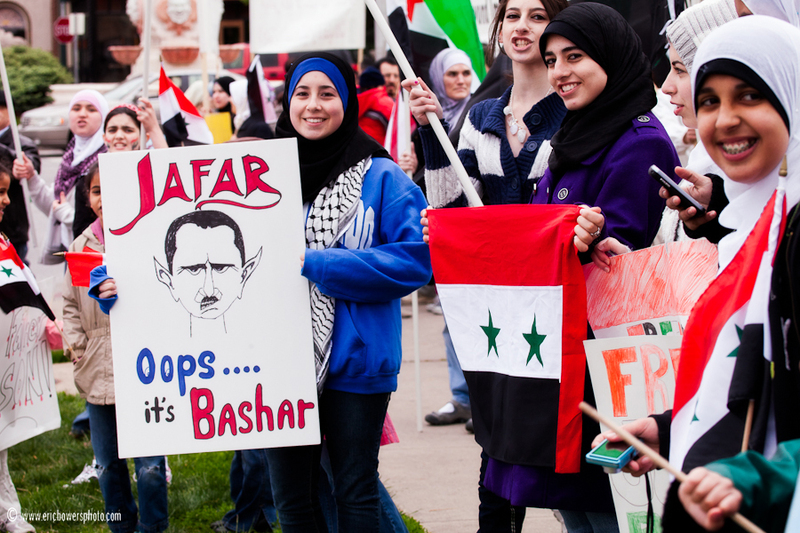 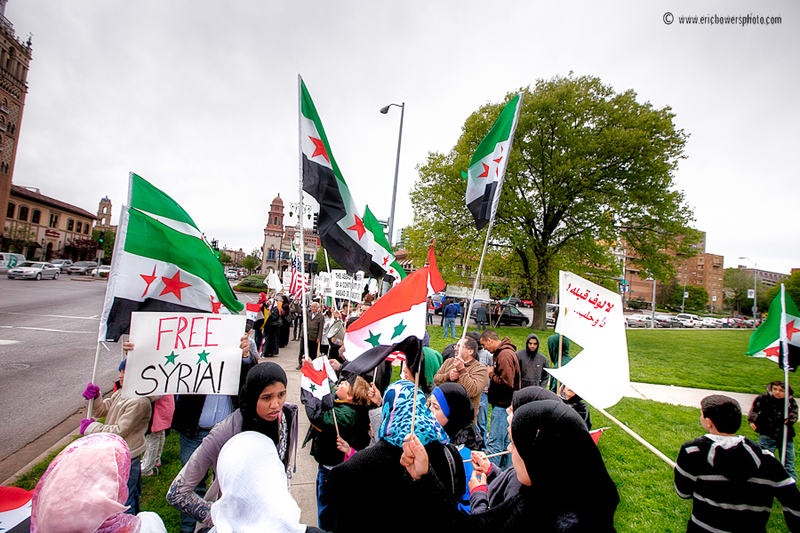 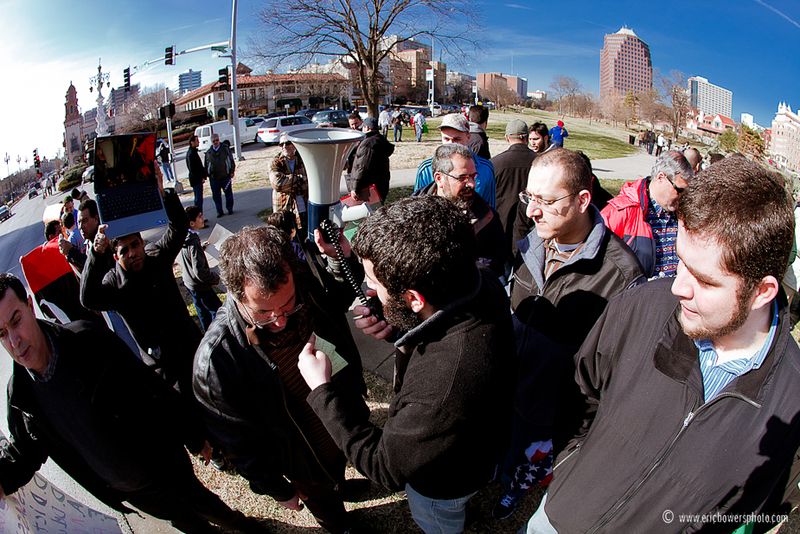 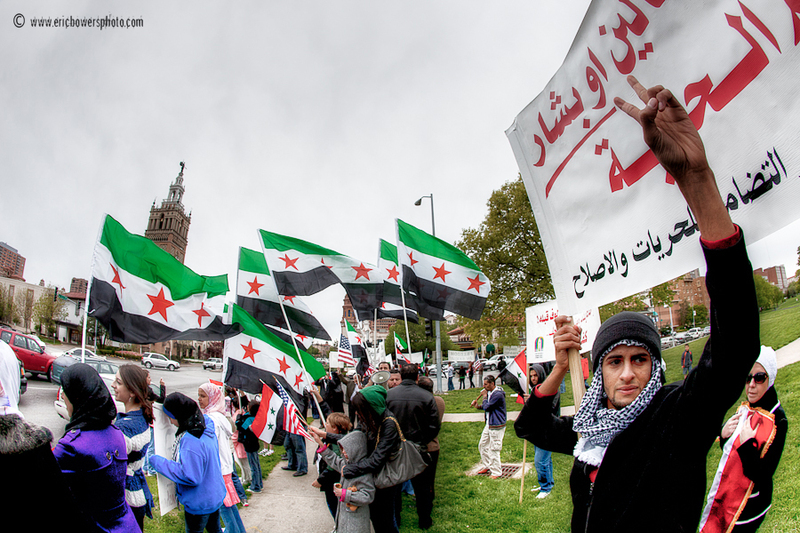 There were some demonstrators present at this rally here in Kansas City living in exile from Libya who cannot return and see close family while Gaddafi is in power, so it is not hard to understand why Libyans would love to see Gaddafi gone. 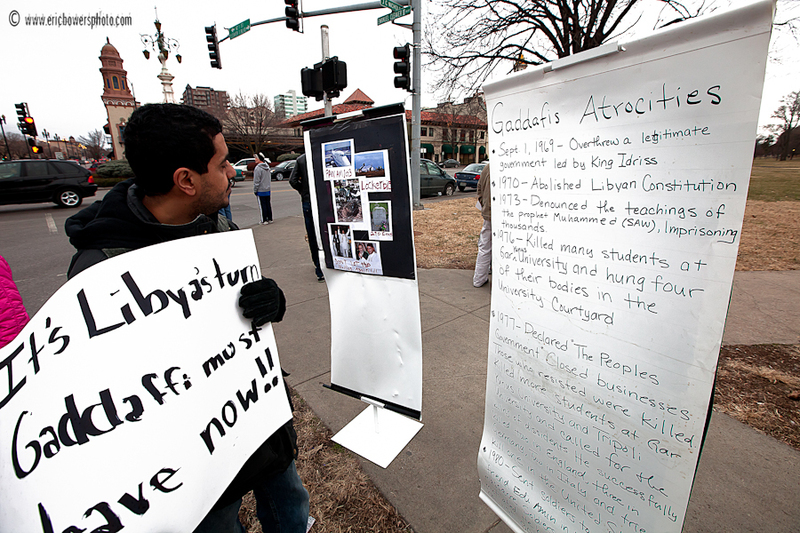 5) Streetscape on The Plaza during the rally. 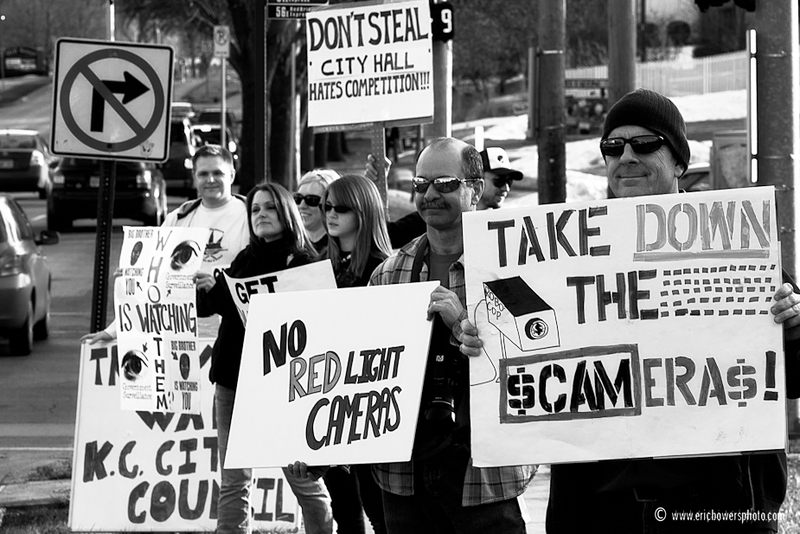 6) Black and White with the Fisheye lens. 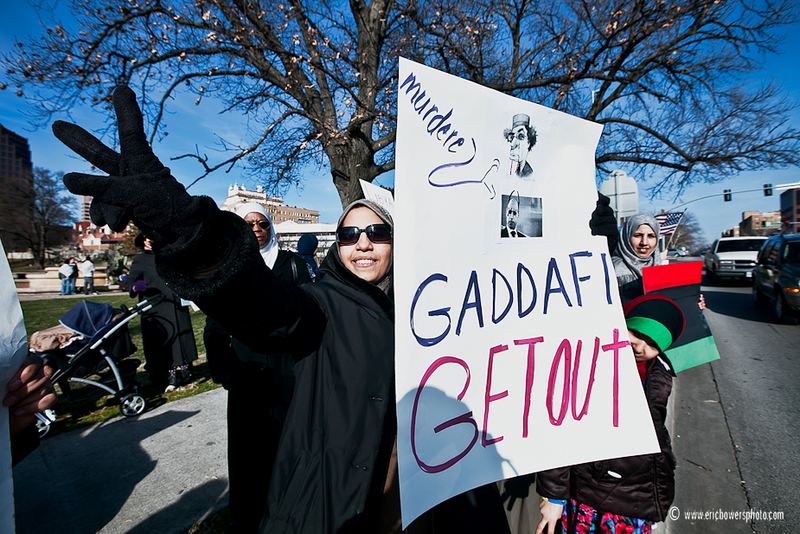 8) Gaddafi's Atrocities - and this list only had room to cover the early part of his career as dictator. 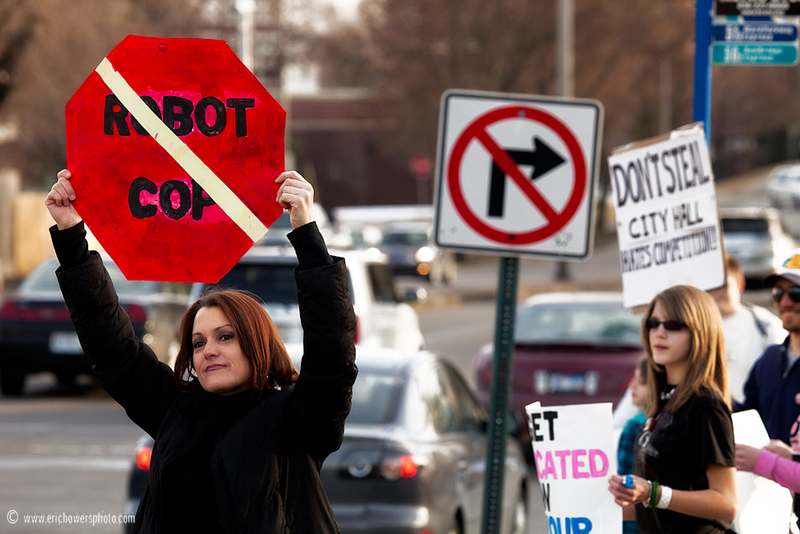 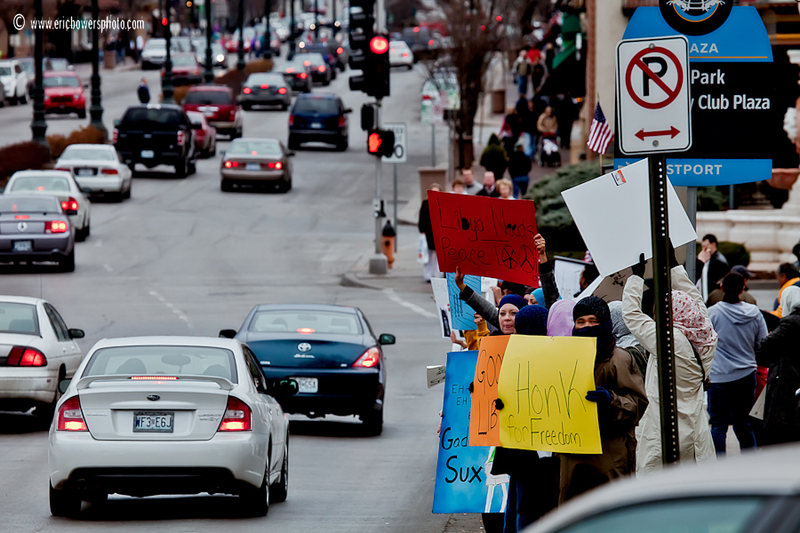 On Monday afternoon there was a protest as part of the “Nationwide Red Light Camera Protest” on Valentine’s Day at Southwest Trafficway and 39th Street in Kansas City, in protest of the city’s traffic cameras installed at that location and several others throughout the city.